I never know how or when the inspiration will come for my annual Christmas post—I just know it will. This year, it happened the day after Thanksgiving, when we took my stepson, Wade, to a movie. The choice was simple—animated, not too long, and a positive message. The newly-released Christmas movie Star was sure to fill the bill. Entertaining, delightful, and yes, inspiring! As we got back into the car, we had many takeaways to share with one another. First, we loved the genuinely stubborn donkey named Bo. After chasing his own dreams, Bo decided to turn around and go back to help Mary, the one who had shown him kindness. In the end, by following God’s plan instead of his own, Bo found the desire of his heart—to carry a King on his back. Second, there were those really-bad dogs that pursued Mary relentlessly because their wicked master wanted to kill her. Yet, when Bo bravely intervened and had them headed toward their death, he chose to show mercy instead. In reality, the really-bad dogs were themselves prisoners of the wicked one. Perhaps they were worth giving another chance. After receiving compassion from Bo, they too came and worshipped the Baby King. Lastly, there was Mary’s faith—it never wavered as she remained oblivious to the threats that swarmed around her. Because Mary knew God had given her this assignment, she was confident that nothing could keep her baby boy from being born. She trusted the God who had decreed it so, His choices for Jesus’ make-shift nursery, and the weird menagerie that became the welcoming party. So is Star simply a cute movie, or is there a message for us? I believe the later. Like Bo, we stubbornly chase our own dreams. But somewhere along the way, God’s kindness catches up with us and we make a turn around. It’s then that we realize following God’s plan is the only way to have the desire of our hearts. And aren’t we reminded by those really-bad dogs that our world is full of really-bad characters who are also being directed by the evil one? Is it possible that they can’t see how they are being used by the great enemy of all mankind? Perhaps, some mercy and compassion from us might turn them around. After all, haven’t we been given a second chance? And then there is Mary’s faith—oh how I need it, how we need it! In a world full of darkness, disorder, and danger, could we learn to be oblivious to the threats? Could we see our God-given assignment and then trust the One who has decreed it so, His choices for our lives, and even the weird people He places along our way? Perhaps we could, that is, if our faith wasn’t so small. As Christmas approaches, I must ask, “Have you seen the Star yet?” Have you caught a glimpse of the deeper meaning behind that familiar story of Jesus’ birth and how it applies in the here and now? My prayer for all of us is that we will begin today to follow God’s plan, to show mercy and compassion as we go, and that our faith in God will grow BIG as we embrace the New Year. Christmas is full of surprises—those little unexpected moments which delight our hearts and fill our souls to full. It happened a few nights ago at my grandchildren’s Christmas program. Parents and grandparents watched their little ones pull off a spectacular rendition of Jesus’ birth. Every line was not perfectly spoken nor right on cue, but it was magnificent nonetheless. And the surprise—one little boy (Zane ~ age 5) proved to be a most exuberant entertainer. Dressed in a white tee-shirt, jeans, and a makeshift halo, he stood on the bottom step of the risers that held the angelic choir. This truly adorable angel was poised for a great performance, yet he had one small problem—staying focused. He twitched and twisted with his experiment to see how far it was to the floor below. He swung his left foot off the riser to touch the floor with his tennis shoe; then his right foot—left foot, right foot, over and over it went. Yet, when the choir began to sing another song, he refocused and belted out the words with all his might. A few lines later, his excitement overcame him once again and he amused himself with less important things. The grand finale was his painstaking efforts to pull his arms out of the sleeves of his tee-shirt, leaving us to wonder if the play might end with one half-dressed angel. The thoughts of this priceless moment bring a smile to my face this morning, yet I wonder if that little boy might reflect us—yes, you and me—during the Christmas season. We know we are supposed to focus on the Greatest Gift Ever Given, yet we get distracted by all the amusing things around us. When something pulls us back to the main thing, we refocus for a time, only to be overcome once again by things of lesser-importance. Like Zane, we do it over and over. 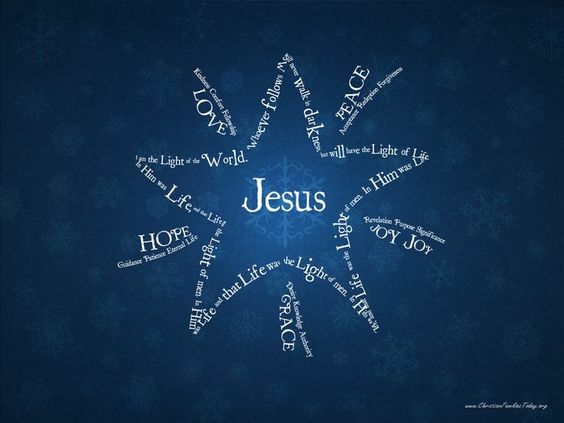 In this season of celebration, remember that Jesus coming to earth was indeed good tidings of great joy to all people. So come with haste and find the Savior, glorify and praise God for what is seen and heard, and then go tell everyone what great things God has done. When the hype is over, just ponder all these amazing things throughout the coming New Year. Oh, and don’t forget to look for those little surprises along the way. Christmas is full of them! I sometimes think we look at Christmas through rose-colored lenses of our own choosing: God sent His sweet Son to earth by way of a warm cozy manger, dazzled lowly shepherds with an angelic host, and led kings to bring gifts to the Baby Jesus. It’s a beautiful story that stirs our hearts each year and leads us to give gifts, too. And we love it. But like most everything in life, the deeper meaning of what happens isn’t always in plain sight. 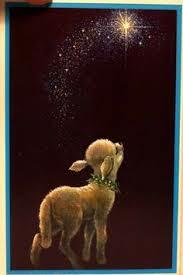 In reality, there is a much nobler greatness behind the magical scenes of Christmas that involves our destiny. You see—you and I were born into a world-gone-wrong. God had created a world He called “good,” that is until evil entered the picture and ruined everything. Then darkness reigned. God’s world would eventually destroy itself because evil left unchallenged would lead to death for everything, including us. It was no less than a tragedy in which you and I were left without hope. Here’s why. History had opened with Adam and Eve falling for the guise of knowledge. It was a costly fall for them, and us. Wrong won. In time, man grew so evil that God regretted that He had made us at all, and He destroyed the world with water. Wrong won again. Throughout the centuries man became so wicked that “everyone did what was right in their own eyes.” Yet, what they declared to be right turned out to be all wrong. Then along came the Pharisees, making a mockery of the Holy Law and changing what was good into what was prideful and self-seeking. Wrong. Wrong. Wrong. Man couldn’t get it right—only wrong—hopelessly wrong. What might a look at the Christmas story through nobler lenses reveal? Mankind was locked in hopelessness—stuck on wrong. Someone had to right the wrong. Someone had to challenge evil. Someone had to bring hope. That glorious night we celebrate as Christmas is about many things—but none more necessary for us than a Babe lying in a manger bringing hope to a world-gone-wrong. He came for us! But don’t miss the deeper meaning behind this statement. Claim it for yourself. Make it personal—declare it out loud: I was without hope in a world-gone-wrong, and He came for me. Sometime during this Christmas season, I recommend that we make a visit to the manger scene in Bethlehem. Of course, we will have to visit it in our hearts and in our minds. The song says, “This must be the place believers come.”1 I’m a believer, so yes, it is fitting and proper that I should come—and you, too. Perhaps we each have a list of the things we are looking for this Christmas. We’re not sure just where to find them, or if they can be found at all. So with my list in hand, I come to the manger. First, I find realness—the age-old story is no myth—it is real! The Baby Jesus was a real human being. He felt the trauma of the birth canal and the drafty night air so unlike the womb. He heard the strange sounds of barnyard animals. We can relate to this Baby for He is one of us. In a world crying for realness, this must be the place believers come. Next, I find humility—the Creator had to stoop low in order to come down to our world as a helpless baby. 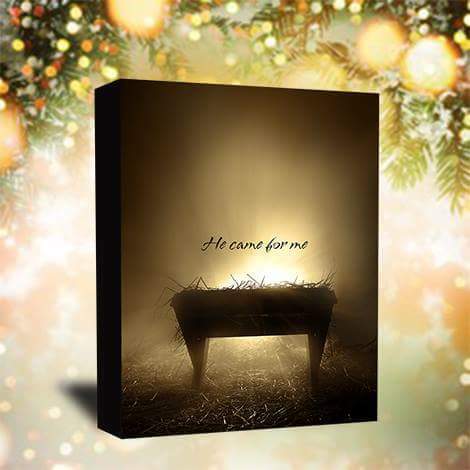 I fear we are missing this all-important ingredient that lays at the very foundation of the manger: A humble God loved us enough to be born in a cattle stall. Aren’t we are tired of the hype, the fanfare, and the emptiness felt from having more and enjoying it less? I know I am. I want to come down too, so this must be the place believers come. Then I find a promise kept—God promised to send a Savior into the world to rescue lost mankind—and He did. Promises kept are a rarity these days. We no longer expect our leaders and politicians to even pretend that they keep them, because they don’t. But in that obscure manger scene we find the fulfilment of God’s promise to us. Oh, for certain, this must be the place believers come for a promise kept. What I find next is a miracle—The Son of God being born as Mary’s baby boy was nothing short of a divine miracle. Yet, many don’t believe in miracles any more. Its old fashioned, they say; mere fantasy. But at that meager birthplace we find God Himself in that manger! How did that happen? Oh, this must surely be the place believers come for miracles. The next item on my list is hope. Our present world is so desperate for hope, but then it always has been. You see, the Bible tells us that we were without hope in the world. We were destined to spend eternity in a dark place, away from God. But when that miracle Baby drew His first breath—Hope was born! Yes, Bethlehem is the place believers come for hope. Lastly, I find joy in Bethlehem! Heaven’s Joy was poured out on us that night as the long-awaited Savior entered our world. God decreed it; the angels sang it; and Mary and Joseph held it in their arms. Joy! Pure Joy! For unto us a Child is born—unto us a Son is given. O come, let us adore Him right here at the manger—the place believers come for joy. As the Christmas shopping is winding down, the Christmas parties are gearing up. This week there will be happy people gathering in large groups, small groups, and in all sorts of places. Decorations adorn our businesses, streets, yards, porches and living rooms. There’ll be hugs and kisses exchanged, greetings said, and gifts given, all in the spirit of the One who gave first. But is all this partying necessary? It is amusing to watch Christians make so much commotion about the birthday of someone many say is dead. But for us born-again believers who have experienced His resurrection power in our very own lives, He is alive—alive in us! So of course, we are going to celebrate the birthday of our living Savior. For four thousand years men tried to keep God’s Holy Commandments, but all failed—even the special ones like Abraham, the friend of God, and King David, the apple of God’s eye. Yep, every single one of us has failed miserably. Problem is that anyone who breaks the Law of God is condemned to punishment by death. Did you get that? D-E-A-T-H is the sentence for anyone who breaks even one of God’s Commandments. Now you know why I said we were in BIG trouble; that is, until the Holy Child Jesus was born in Bethlehem. The very Son of God came down from Heaven to rescue us earthlings from that death sentence. That’s right—He took on Himself our punishment so you and I could escape the penalty of sin. And He did it for all who will believe in Him. Now if that doesn’t give us enough reason to celebrate His birth, I don’t know what does. Our big ado over Christmas is totally justifiable! It is worth much celebration! Jesus said if people don’t get excited about Him, the rocks would cry out. Who knows, the angels could fill the sky once again with songs of praise, and shepherds might be found dancing on the hillsides. So yes, it really is necessary! Let the Christmas “naysayers” fuss all they want. They are welcome to gripe and complain about all the fanfare, the decorations, the music, and the merriment, but they can stop none of it. Not at my house, my church, my community, or in my heart. As for me and my house, we are partying! And I hope you and yours will do the same. Who doesn’t want a joyous “no-fuss” Christmas? After all, it’s been a trying year, and I don’t need to remind anyone how perplexed our world is right now. Rather, I think it is a great time to focus on something else, and Christ’s birth is the perfect subject for some refreshing thought. I suspect the world 2000+ years ago was in as much disarray as ours. But Jesus didn’t come to set the political winds from a different direction. He came to cause men to focus on something more important—eternal matters. Eternal matters—as if eternity matters—and it does! Most of us probably don’t think much about eternal matters except when tragedy strikes. But it came to me that we can turn our thoughts toward eternal matters and set in motion a joyous “no-fuss” Christmas all at the same time. It has to do with the gifts we give to others. These are, however, gifts money can’t buy. What if, by some rare oddity, we were to give everyone on our gift list the amazing gift of unselfishness—including the selfish ones, the ungrateful ones, the hard-to-get-along-with ones, and even the overbearing ones? Sounds complicated, doesn’t it? Actually, it’s very simple. We can give them the gift of our self—you know that part of us that Jesus said to deny. We do that by not demanding our way, and instead, yielding to others. That’s it—yielding our right to do or say what we want to do or say. We can keep our gifts under the joyful wrappings of mercy and grace until the confrontation occurs. Then with our simple acts of giving, we discreetly empower others to have it their way. The issue is settled instantly with no fuss. WOW, can you imagine your family Christmas with no fuss! You and I have this incredible opportunity to share the true message of Christmas—the selfless gift of God’s love to all people. You see, our yielding to others allows us to proclaim that same message of selflessness with our very own lives. Our gifts will make others happy, set them free from past offenses, and literally wipe out tension from our holiday gatherings. And that, my friend, is joyous! If you think this is some silly idea of cheap gift-giving, trust me, it will cost you much. In fact, it costs so much that many will opt not to have a joyous “no-fuss” Christmas. But we must remember that God’s Gift to us was quite costly—just consider the pain in God’s heart as He yielded up His Son for the selfish, ungrateful, hard-to-get-along-with, overbearing likes of us! Yielding our lives to God will always cost us, but then we should never give anything that doesn’t cost us something.1 On this Christmas of 2014, I hope we will choose to focus on eternal matters by giving our selfless gifts. It’s a sure-fired way to have a joyous “no-fuss” Christmas!